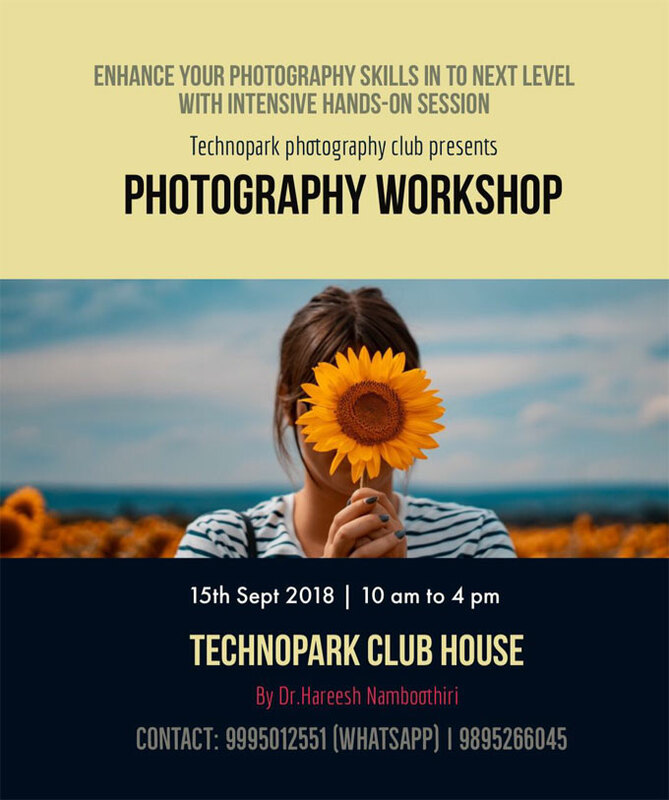 TechnoparkToday.com(Sept, 2018): Enhance your photography skills with an intensive photography workshop conducted by Technopark Photography Club (TPC) along with technoparktoday.com on 15th September 2018. This is the first workshop in a series of photography workshops over next one year. this time the workshop focus on very essentials and basics of digital photography – a very basic and strong foundation to start your photography excellence. Seats are limited, and the subsequent workshops will be conducting on specific topics like Landscape Photography, Wildlife photography , Fashion Photography etc.. this basic workshop will help the audience to understand the necessary skills for the upcoming advanced sessions by the experts in the industry. Previous Curtain Raiser of c0c0n -XI by Prithviraj Sukumaran in Technopark !